Q. How do I save items from a Discovery search into a permanent list? Log in to your library account using the button at the top right of your Discovery screen. As you are conducting searches, save items you are interested in checking out later using the save button at the bottom right of each item record. Once you have a list set up, you can save items from future search sessions into it. 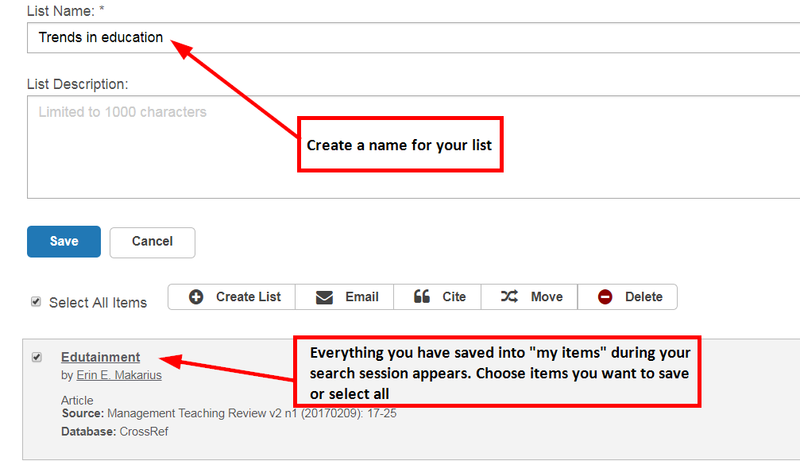 You can also set up multiple lists to organize your searches into subject categories.